Carolyn Drake, Diana Markosian, Peter Marlow, Martin Parr, Mark Power, Peter van Agtmael and Alex Webb. This series, newly assembled by curator Enrique Muñoz García, shows women who are using binoculars to look at something taking place outside the frame. The presence of binoculars in the images tends to render the photographed women anonymous, and lets them be both the subject of the image and the agent. While the act of pointing one’s binoculars at something and visually tracking one’s target evokes surveillance, visual control, or military espionage – that is, actions often associated with the male gender – this new collection of photographs invites us to rethink the social and political role of women in our system of representation. is a nonprofit independent Public Art Space and works as a satellite for international artists and festivals. 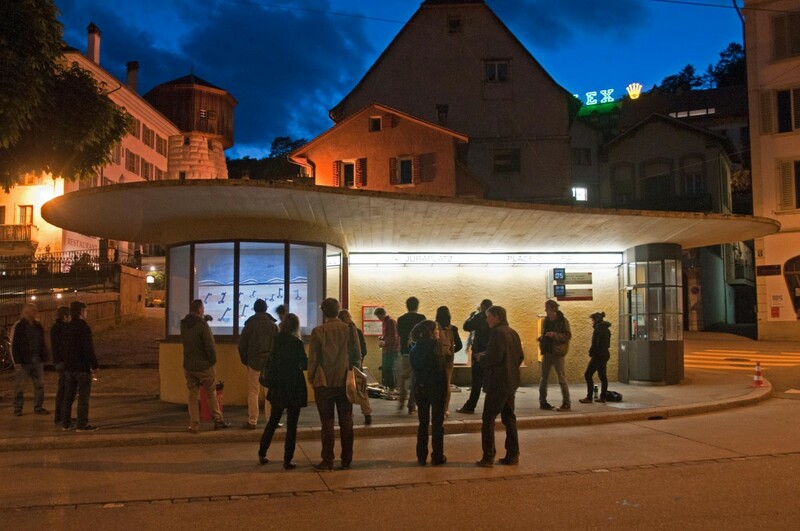 Converted into an art-platform from a tram stop dating from the late ’30s, it sits in the city of Biel/Bienne, the heart of the Swiss watch-making industry. JURAPLATZ was founded in October 2010 by Enrique Muñoz García.